“I crashed into electrical towers and my star charts were erased. I need the ones in your head to complete my mission.” retorted the Navigator Robot. A film of the 80’s produced by Disney. Clearly, yet again proving, Disney can make science fiction movies that make sense. I definately remember this movie well. It was directed by Randal Kleiser and gave us a wonderful film that sparked the imagination as well as fueled our sense of wonder. It reminded me also of the movie E.T. I believe the same actor was in it also. Here is the basic plot of the film…This 1986 Disney adventure tells the story of 12-year-old David (Joey Cramer) who lives with his family in Fort Lauderdale, Fla. When he awakens from being accidentally knocked out in the forest near his home, he finds that eight years have passed. His family is overjoyed to have him back, but just as perplexed as he is by the fact that he hasn’t aged. When a NASA scientist (Howard Hesseman) discovers a UFO nearby, David gets the chance to unravel the mystery and recover the life he lost. An adventure explodes as he encounters an alien robot who had crashed on the planet. He found the boy and used him to construct a timeline for getting back. This develops the idea of the Navigator. Sarah Jessica Parker also stars in the film, it was after Footloose, and she still looks the same. 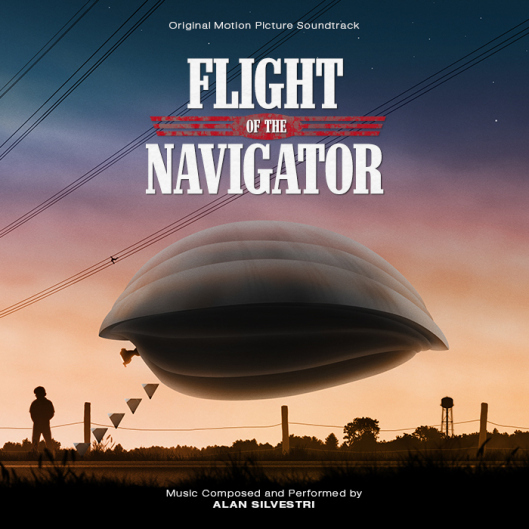 The music of the movie was composed by Alan Silvestri who also did Back to the Future and Forrest Gump. I enjoyed the soundtrack for the time period it lived in. You can find the score at Amazon.com. Would you all relish in some clips from the score? That’s all I have for you this week. Look forward to my post this following week. Next week The Great Mouse Detective! See you then. Happy Listening! Next Next post: Hatari! Ho!